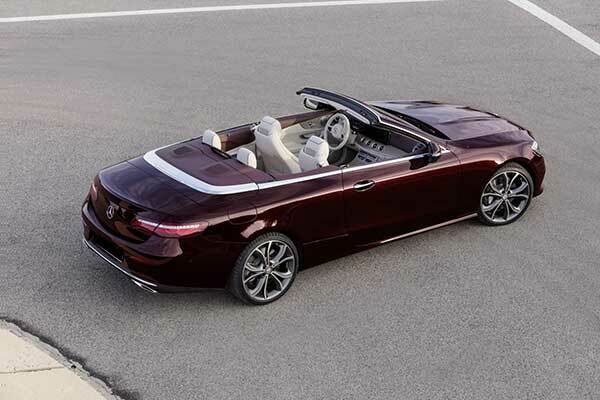 The new edition of the elegant and luxurious Mercedes E Class Cabriolet is 13 cm longer than the old model: the cockpit offers more space, especially behind. The classic canvas hood, with electric control, also closed, fits well into the slender and muscular body; gritty the front (headlights full led, prominent mask and large air intakes honeycomb in the bumper), fleeting the back, which ends in a hint of spoiler. 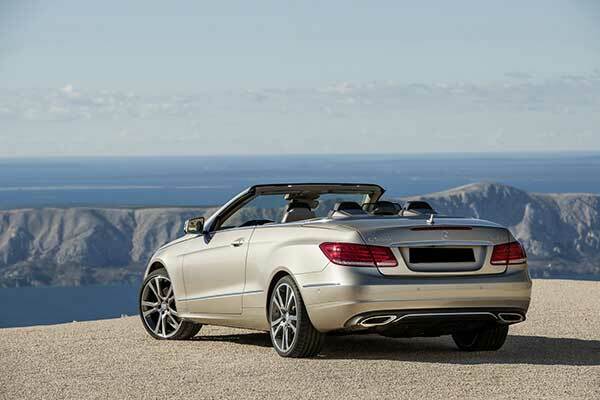 However, Mercedes E Class Cabrio is very similar to that of the “younger sister” C Cabrio, smaller and less expensive: some may not like it, considering that the price to pay is a lot more “salty”. The interior is modern and elegant, finished with care even in the details. Technological the dashboard, with the digital dashboard of considerable effect. 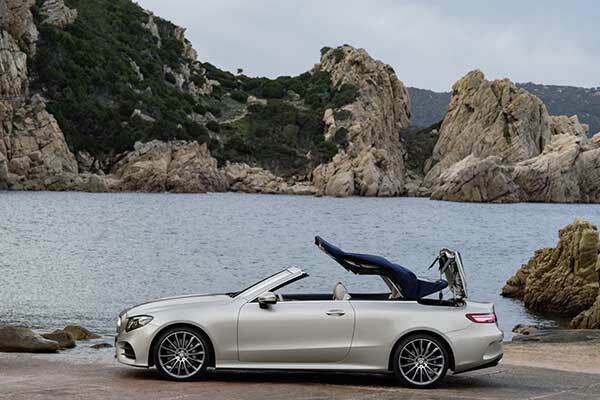 Some commands, however, are not placed in the right place: as in other Mercedes models, the electronic handbrake lever, to the left of the steering wheel, is not reachable by the passengers and the emergency button is small and too much in low in the console. The comfortable armchairs have a wide seat and are electrically adjustable. The suspension is comfortable, but suitable for sporty driving; precise and rather direct steering.